lizabetta Grushinskaya in Grand Hotel. She has performed locally as a guest artist in Big Love at the University of Houston, Man from Nebraska at Stages Repertory Theatre, and Dorothy Shaw in Gentlemen Prefer Blondes for Bayou City Concert Musicals. 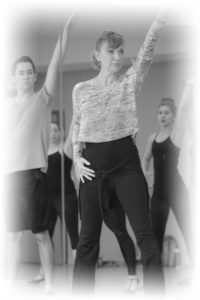 She is director of dance at the Kinkaid School and received a 2013 Tommy Tune nomination for her production of Chicago.